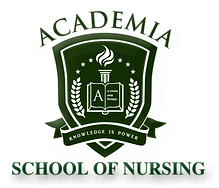 To be considered for Enrollment as a Student at Academia School of Nursing, please fill in the information below as completely and accurately as possible. This Next section MUST be completed truthfully and honestly. Findings could preclude you from being eligible for examination for registration or Licensure in Ohio if disqualifying events are discovered. IF YES, TO ANY OF THESE QUESTIONS ABOVE QUESTIONS PLEASE PROVIDE A FULL DESCRIPTION OF THE EVENT(S) TO COMPLETE YOUR APPLICATION AND SUBMIT TO THE PROGRAM COORDINATOR AT ACADEMIA SCHOOL OF NURSING FOR REVIEW.